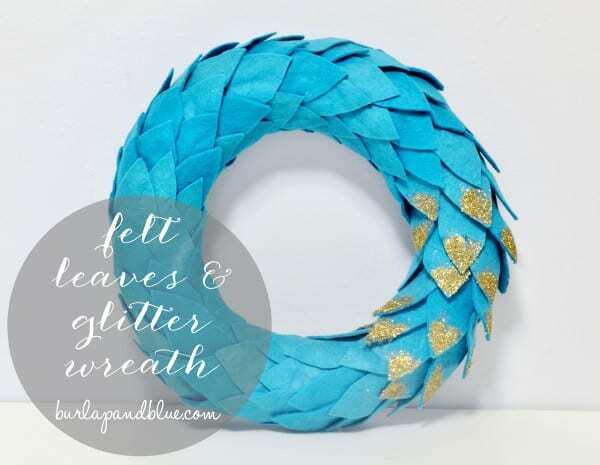 If you’ve read this blog for any length of time, you know how much I love making felt wreaths (and here , here and here). 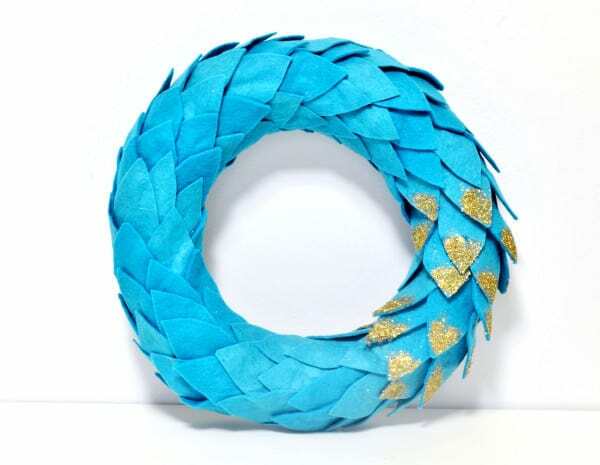 I wanted to make an updated version using this beautiful turquoise felt I found at Hobby Lobby and decided to add some glam with some gold glitter. I love the effect, and think it’ll go beautifully with my holiday decor this year. 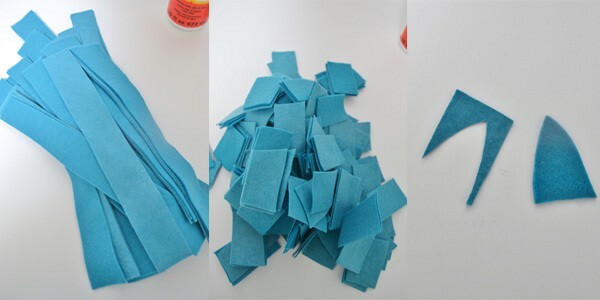 Step 1: Cut your leaf shapes out of your felt. I did this by first cutting my felt lengthwise into stripes about 1.5″ wide, then cutting the strips into pieces about 2.5″ wide, and then cutting those rectangles into leaf shapes. 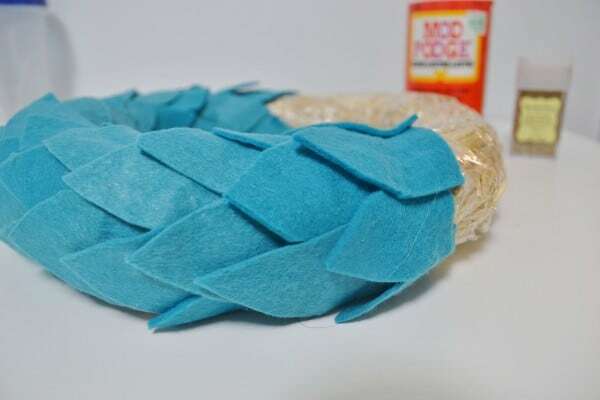 I used sharp scissors and was able to cut through several layers of felt at the same time to make it go a bit faster. Step 3: Bring on the glitter! I chose just to add glitter to only one section of leaves, but you can glitter-ize as many as you’d like. 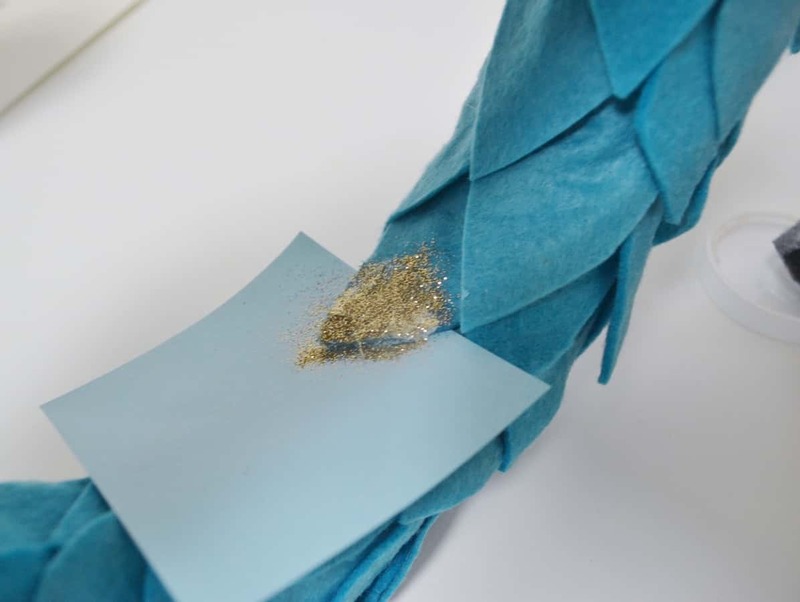 I used a post-it note to protect the felt surrounding the leaf I was adding glitter to. I used a foam brush to add Mod Podge to the leaf, added some glitter, and then gently tapped the wreath to remove the excess. Let dry, and you’re done. 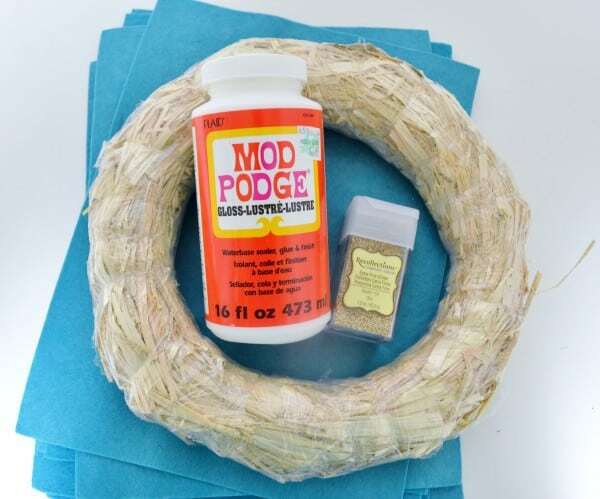 Wreaths are one of my favorite things to decorate with, and I’m so glad to have one more in my arsenal! 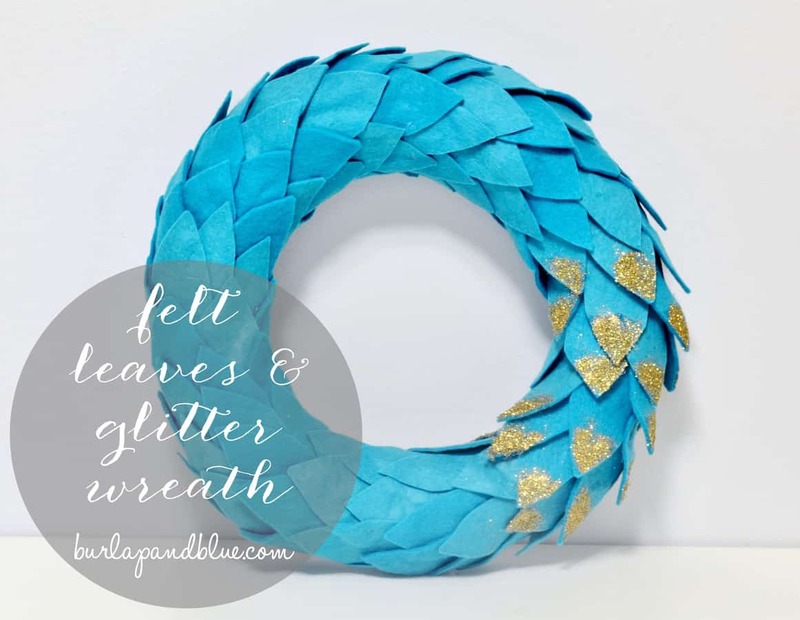 Thanks for reading all about my felt leaves wreath! Have a lovely Monday!